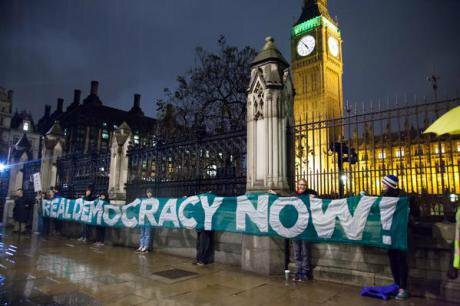 In the battle for legitimacy, the only thing that can beat democracy is more democracy. This understanding is helpful for those still wounded by the EU referendum result, hoping three months on that the result might yet be undone. The result was such a shock that it seems to have eviscerated our self-belief, and I have written this piece to help us rediscover our democratic courage. We have to start looking deeper than the weak willed gasps of disbelief that say the process was illegitimate or the result must somehow be ignored. On the EU question we might paradoxically need to grieve for what has been lost before finding the strength to prevent the loss from occurring. The goal, then, is to ‘accept the result’ and definitely to learn from it, but not to ‘move on’. The challenge is to find a legitimate democratic solution to a result that stemmed from a democratic failure. In scrambling for an intellectually coherent case for remaining in the EU I fear many are focussing on the wrong issues. For instance, turnout was ‘only’ 72%. Around 13 million registered voters did not vote, about seven million eligible adults were not registered, 16 and 17 year olds were not allowed to vote, and nor were EU nationals whose future was being decided. That’s all painfully true. On the other hand, the referendum details were agreed through a broadly democratic process in parliament, such numbers are not unusual, and more people voted to leave the EU than have ever voted for anything in the UK. And the margin of victory was very small, yes, but it still amounted to over a million people. The Leave campaign contained abundant and often toxic misinformation, yes, but the Remain campaign was full of bogus projections, and truth is a casualty in most political campaigns. Two constituent nations of a devolved multi-national state – Scotland and Northern Ireland – voted to remain, yes, but in its relationship with the EU, the UK is effectively a unitary state. We are a parliamentary democracy, yes, but with an established convention of direct democracy on constitutional questions. In this context, the referendum was advisory rather than binding, yes, but de-facto at least, the advice is hard to ignore. These stock objections to the outcome remain useful as ‘surround sound’ while we come to terms with what has happened. However, none of the above arguments – alone or together – are powerful enough to override the legitimacy of the majority victory. And we need to take that idea on the chin; neither the process nor the outcome can be undone. And yet, deciding not to enact a referendum outcome is possible, and merely very controversial rather than unimaginable treason. In 1992 Denmark narrowly rejected the Maastricht treaty and in a second referendum a year later accepted it. Ireland underwent the same reversal with the Treaty of Nice in 2001 and 2002 (and latterly with the Treat of Lisbon in 2007 and 2008). In 2005 both France and the Netherlands said a fairly emphatic no to an EU constitution, but arguably the Lisbon treaty that was later adopted had a similar constitutional effect. However, these examples do not offer a prima facie case for a second referendum in the UK, because a vote to leave the EU is fundamental and binary in the way that an adjustment to a relationship with the EU is not. Their value is rather to remind us that democracy is a process, not an event. Where are our political theorists when we need them? We have heard too much from economists, endured ambient punditry for weeks and even grappled with some judicious sports commentary from a constitutional lawyer, but I have searched in vain for the voice of authority that helps us make sense of whether the decision to leave the EU really was ‘democratic’. So I will attempt it myself. Democracy is an essentially contested concept. The point is not just that its meaning is fluid, debated and socially constructed, but rather that its meaning is a function of a social struggle for power and legitimacy, and never entirely prior to that struggle. ‘Rule by the people’ after all, is only slightly clearer than ‘Brexit means Brexit’. ‘Democratic’ is therefore used rhetorically for all sorts of purposes, including to silence resistance to the UK’s exit from the EU. It is time to remember that the concept of democracy has some pre-political integrity. Democracy is about the rule of law manifest in institutional norms and relationships, individual and minority rights, freedom of the press, and the adherence to constitutional principles including checks and balances through a separation of powers. Last and in some senses very much least, there are voting procedures that seek to establish majorities to confer legitimacy on decisions. Far from being the essence of democracy, majoritarianism is often viewed in democratic theory – a point most fully developed by Alexis de Tocqueville – as a form of tyranny to be vigilantly guarded against. In a recent open letter about Brexit, the Philosopher Anthony Grayling juxtaposed democracy properly understood with ochlocracy, rule by crowd acclamation, or ‘mob rule’. The letter reeked of elitism, though by saying so I am swayed by the spirit of our times – a rhetorical land grab rather than a substantive argument. The ‘elitist’ letter also made a legitimate democratic case – based on the familiar issues outlined above – for why the result should be effectively ignored. Compelling yes, but again the politics of hindsight. It is hard to shake the painful conclusion that despite various parliamentary committees overseeing the process, the referendum was designed on the assumption that the UK would never vote to Leave. Now that we have, more than seventeen million voices will not be silenced so easily. Moreover, there are two features of British political culture that make it particularly hard for any appeal against Brexit based on democracy to be entertained, never mind accepted. Both these additional barriers stem from the enculturation of First Past the Post, the anti-democratic voting system we have endured for centuries. The first norm we have inculcated is the idea that voting is about picking a winner (choosing a government) and that winner takes all (it’s not about representing the views of those who voted). The second is that the (roughly) two thirds of voters who don’t live in marginal constituencies feel like their vote is mostly ritualistic and unlikely to matter, and many cast it without the sense that it will affect political outcomes. Our democratic culture therefore not only failed to prepare us for the sense of responsibility that voting in a referendum entails, but also has few salient reference points for notions of democracy that go beyond simple majorities, and binary outcomes. If any momentum builds for the case that the referendum result doesn’t entail Brexit we can therefore expect howls of outrage and betrayal from leaders and followers within the 52%, channelled through a vituperative press. Worse, there will be hardening of hatred towards politicians, enough perhaps to break the thin veneer of democratic culture. If Brexit is denied, it would be a surprise not to see riots in the streets. Consider the legitimate and widespread anger and frustration in most of England and Wales that led to a Leave victory, and imagine it curdling, now laced with disgust and bitterness, and amplified. Existing tensions over immigration would probably escalate further to full scale race hate, and perhaps even more murders. It’s not a pretty picture. The fear of societal collapse makes even thinking about the case for resisting Brexit difficult, but the decision to leave the EU is arguably so tragic and so disastrous that we have to go beyond ‘the deep magic’ of the referendum result, and find something even deeper. Hope for resurrecting legitimacy lies in recognising – true to the form of the UK’s uncodified constitution – that democracy cannot be severed from time. The idea of ‘a democratic moment’ doesn’t make any sense. Democracy’s legitimacy stems from the historical, cultural and institutional context that gives voting moments legitimacy. ‘The people’ are not just the raw calculus of votes cast on a particular issue at a particular time; they are the broader democratic norms and institutional and intergenerational allegiances that define them. Where does that leave us? It’s not all good news for Europhiles. What was democratic about the leave victory was not so much the majority that won, but the perceived sanctity of the process that makes winning matter. When the Liberal Democrat leader Tim Farron, for instance, argues for a new referendum because Leave’s victory was built upon lies, he misses the point. What makes the result democratic is not the 1,269,501 extra votes that may have gone the other way if misinformation hadn’t prevailed. What makes it democratic is the implicit promise in having the referendum in the first place; and that promise depends upon historical, cultural and institutional factors that uphold our social and political settlement. The flip side is that it is quintessentially democratic to resist a majoritarian outcome when that outcome is a violation of democracy viewed through a wider temporal lens, the broader democratic context that made it possible. That context is not inert, a mere part of the setting. It can also be part of the plot. This is what I mean when I say the result was a democratic mistake – not that the result is invalid on its own terms, but rather than the terms of the referendum, the question, the campaign and the outcome all arose through democratic processes that are functioning below their optimal level. Hope now stems from the glaring legitimacy gap between the general mandate of the majority who voted to leave and the lack of a particular mandate to leave on particular terms. That gap makes brexiteers nervous, because they know it could be filled with a higher quality of democracy. Moreover, the ‘de facto’ legitimacy of the result is a form of soft power and a function of political capital; both highly volatile commodities in the uncertain months ahead. Theresa May has become prime minister partly by default, but also because she looks like a pragmatist and (to some extent) unifier, who will prioritise Conservative party unity in the cause of national stability. She has said emphatically that “Brexit means Brexit”, but not yet what that means. She has no plans to trigger Article 50 until 2017, it still seems unlikely she will call a general election, and she almost certainly won’t call another referendum or may not even ask for parliamentary approval for the negotiating position or outcome. What scope is there in this context for ‘more democracy’? Given the significance of the Brexit negotiations, if there is not going to be a general election, there is a strong case for all political parties, representatives from each of the home nations and those voting to remain being represented when the negotiation strategy is being prepared prior to Article 50 being invoked. In principle, that should ensure that the default goal is something like remaining in the single market, with some greater autonomy on immigration and protecting research alliances. LSE Professor Simon Hix makes a good case for focussing on precisely this kind of outcome. In practice, of course, politics will be about the volatility of power and those with the greatest influence and sharpest elbows are likely to prevail. The point about democracy though is this. If we cannot achieve in negotiations with the EU what ‘the people’ as a whole might reasonably be thought to want (not just ‘the winners’) democratic legitimacy suggests we should put the outcome to the British people in another referendum to accept or reject. This is not a re-run. It’s not even a ‘second’ referendum, strictly speaking. It’s a new question. As Liberal Democrat leader Tim Farron puts it, if we can trust the British people with the direction (in or out) we should also trust them with the destination (in what way, ‘out’). In that case, a rejection of the proposed new destination would be a de-facto ‘change of mind’ over the prior decision to leave. Scandal! Hardly. That kind of revision is precisely what you might expect in a democracy that recognises that time and perspective changes opinions and prefences. Moreover, the notion that you can want to leave in principle, but not want to leave in a particular way in practice stacks up in theory, but not in reality – it can only happen one way, there is no multiverse containing multiple forms of Brexit. Well there might be cosmologically, but you can’t vote for it! In practice, voters would be asked to choose, not a single political party, but rather a complex political outcome with a myriad of details. The only coherent explanation for the status quo is that somehow it’s valid to ask people for the general direction, but more appropriate for politicians and their associates to deal with the details once the direction is decided. Maybe. It’s not absurd, but you can hardly justify it with an appeal to democracy. The theoretical question then becomes: which is sounder in principle, to ask the public whether they want to leave the EU, ceteris paribus (all things being equal) which is what happened. Or is it fairer to say: Do you want to leave now that you have a much clearer idea of what leaving actually means? If you asked the public the meta-question: which of these two questions would you rather be asked – it seems almost certain they would prefer the latter – a matter of profound democratic significance. Who would vote to have the option of a leap in the dark? On the face of it, the question about a particular destination is also much more democratic. Indeed it is somewhat ironic – tragic even – that no particular leave option would have beaten the status quo of remaining in the EU with the UK’s various privileges. Part of the reason Leave won is because it was Protean and could change form to suit voter preferences. In this respect the EU referendum was quite unlike Scotland’s referendum on independence, where there was a government white paper detailing the transition and the early policy platform – in that case many questions (not least on currency) remained, but there was a genuine attempt to clarify what people were voting for and against. What concerns people at some ineffable cultural level, I think, is the idea that the British people might say they would rather stay in the EU after all. Just think of the sheer awkwardness and embarrassment and cost of putting ourselves through all that, and for nothing. But what if it turns out that the general decision to leave followed by the particular decision to stay is precisely the will of the people? Shouldn’t we then get over our queasiness, and fight, not only for the EU, but for a democracy worth being part of? First: Accept the result in this sense. Fight for our best negotiating position with the EU and acknowledge the domestic policy implications (inequality, immigration, integration) of the referendum result. Second: Make the case for a second referendum on that negotiated position, which – despite our genuine best efforts - is highly unlikely to be as good as our existing position in the EU. Third: Run a much better campaign to stay in the EU. Fourth: Win, and restore dignity to a deeper idea of democracy.